There’s a little bit of Jean Valjean in everyone. That’s one of the takeaways Nick Cartell has garnered through the first 11 months of portraying Valjean in the Broadway show “Les Misérables,” which makes its way to the McAllen Performing Arts Center for a five-day run Sept. 12 to 16. “Les Misérables,” also known as Les Mis, is a musical based on the 1862 novel of the same name by French poet and novelist Victor Hugo. The musical premiered in Paris in 1980. 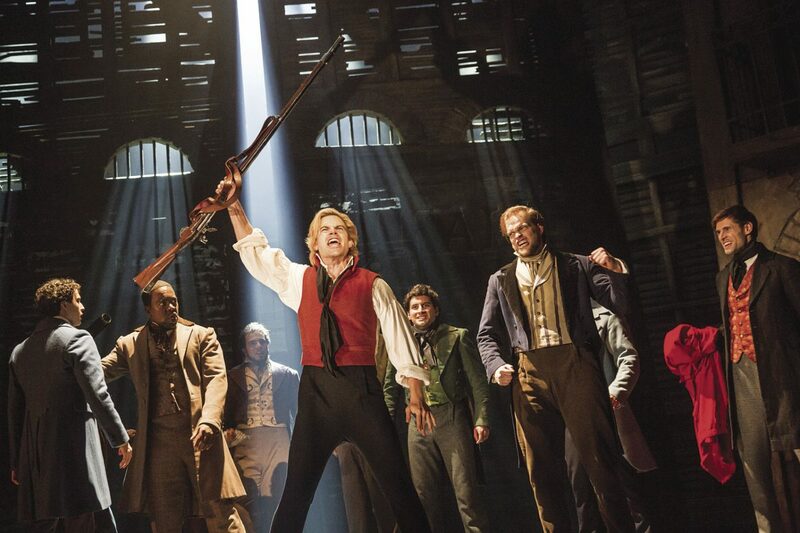 Les Misérables cast members perform with Matt Shingledecker, who stars as Enjolras. The show is the story of Valjean, a French peasant who is looking for redemption after being imprisoned for 19 years for having stolen a loaf of bread for his sister’s starving child. Cartell, who has performed in the national tour of “The Phantom of the Opera” and “Frankenstein” off Broadway, among others, said that the whole struggle Valjean went through became personal when he connected it to a tough moment in his life. Valjean decides to break his parole and start his life anew after a kindly bishop inspires him by a tremendous act of mercy, but he is relentlessly tracked down by a police inspector named Javert. Along the way, Valjean and a host of characters are swept away and a group of young idealists make their last stand at a street barricade. Valjean has been portrayed by many actors around the world. Cartell said it was critical for him to go back to the novel Hugo wrote as well as scour references to see how Valjean is described. Cartell said the writing and the character are strong — but his goal was to capture the emotions and the character and make it a regular part of him. The show is in its 12th and final month of touring and for Cartell, keeping his routine is critical for him in giving 100 percent every night. Playing Valjean has to be one of the most demanding lead roles in all of Broadway. “It’s important to rest and take care of myself — get eight to nine hours of sleep a night, go to the gym and take my vitamins,” he said. Cartell said he has been surprised most by the responses of the audience, many of them coming to talk to him about how the show — Valjean’s struggles especially — relates to them. “I’m not much of a fighter but this character has so much fight in him,” Cartell said. “I remember one day during a rehearsal being completely exhausted and broken myself and they said to do it all over again, one more time. I felt broken from such a day and then I feel like I understood it better — the way he is broken at the beginning of the show. He’s tired of the fight and being strong all the time. You don’t realize things like that sometime until the moment is upon you. 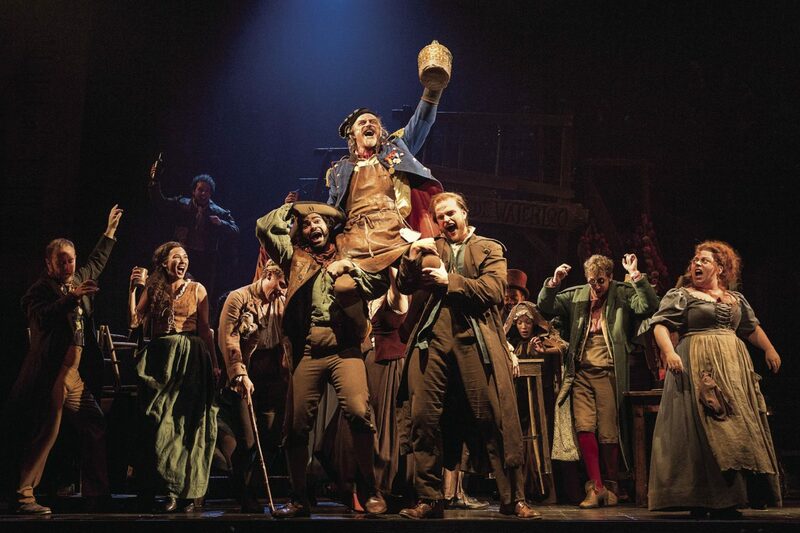 WHAT: ‘LES MISÉRABLES’ at McPAC: The story of heartbreak, passion and the resiliency of the human spirit.